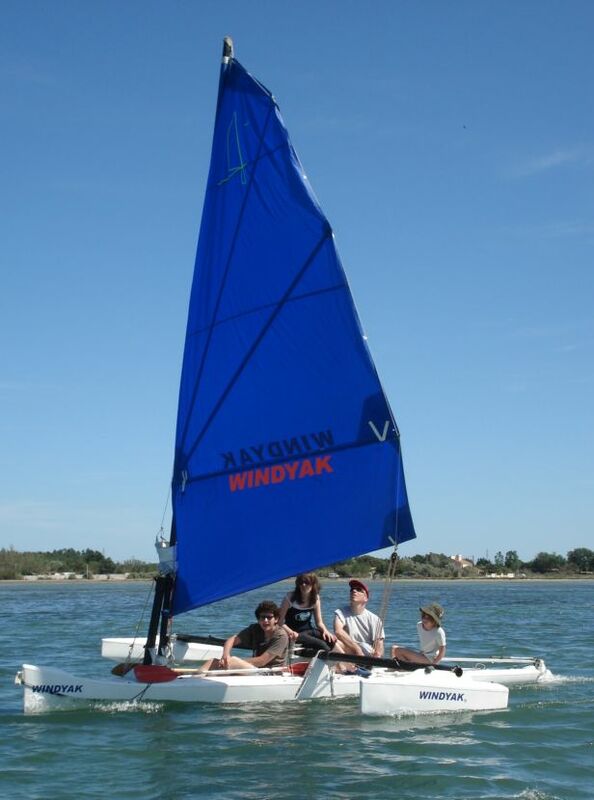 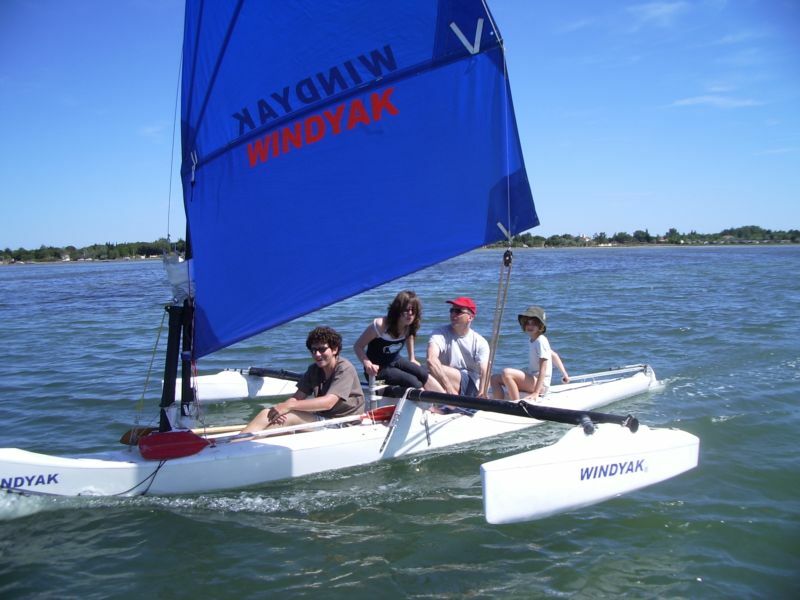 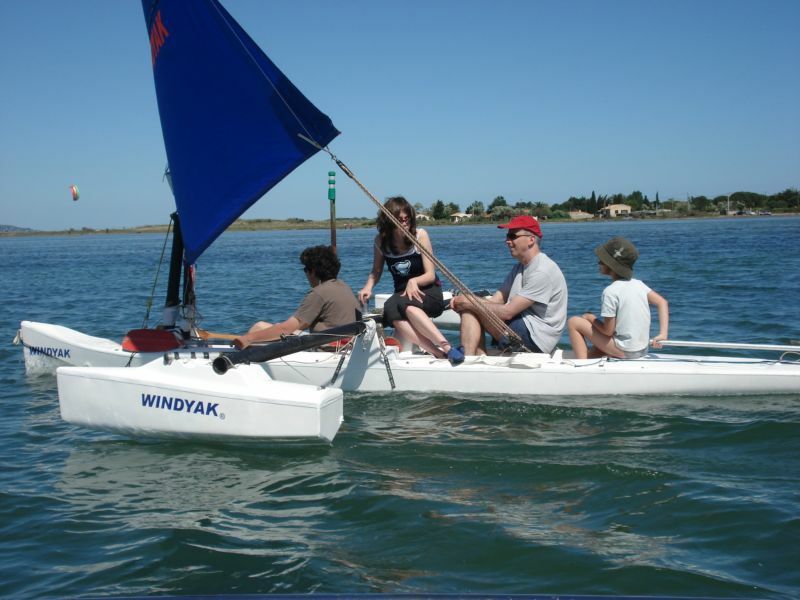 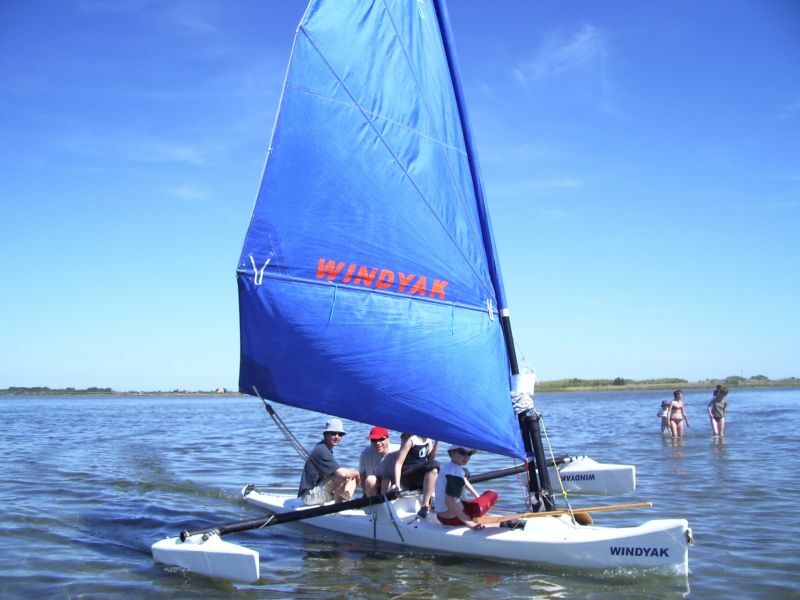 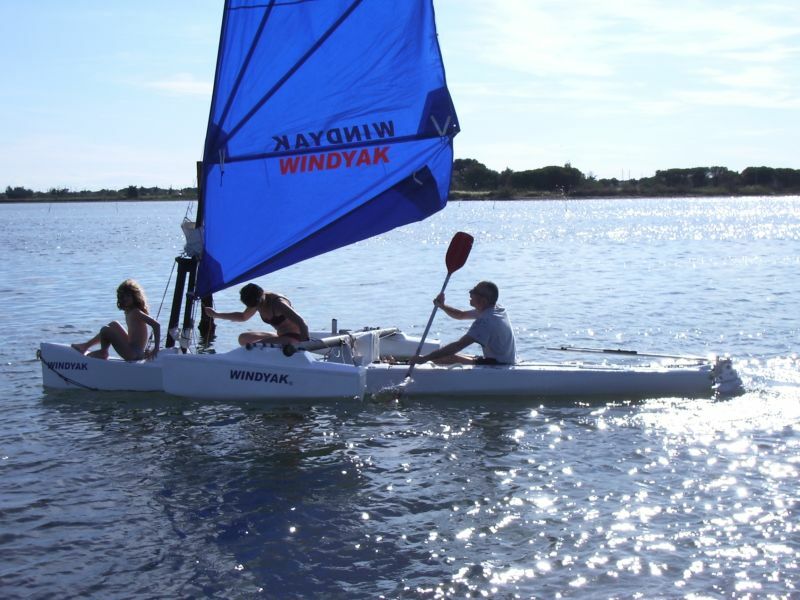 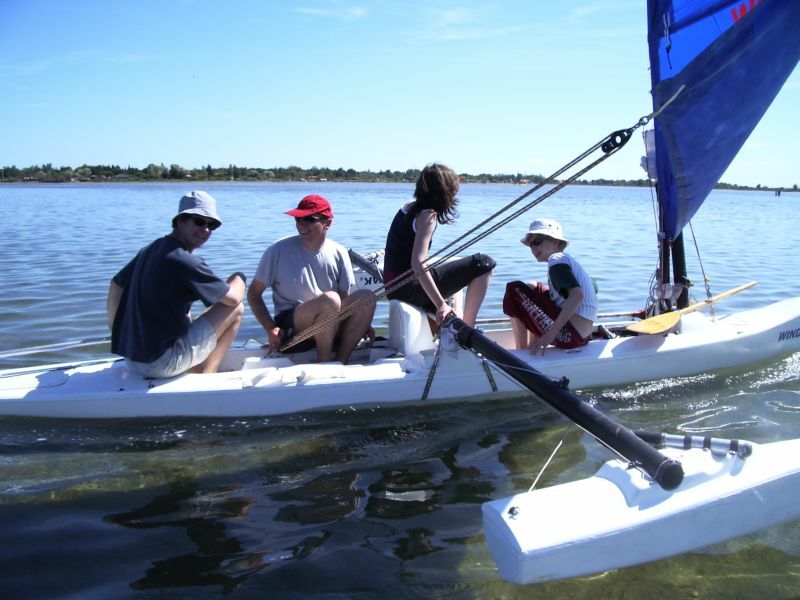 When WINDYAK converts to a family boat, with 4 people onboard. 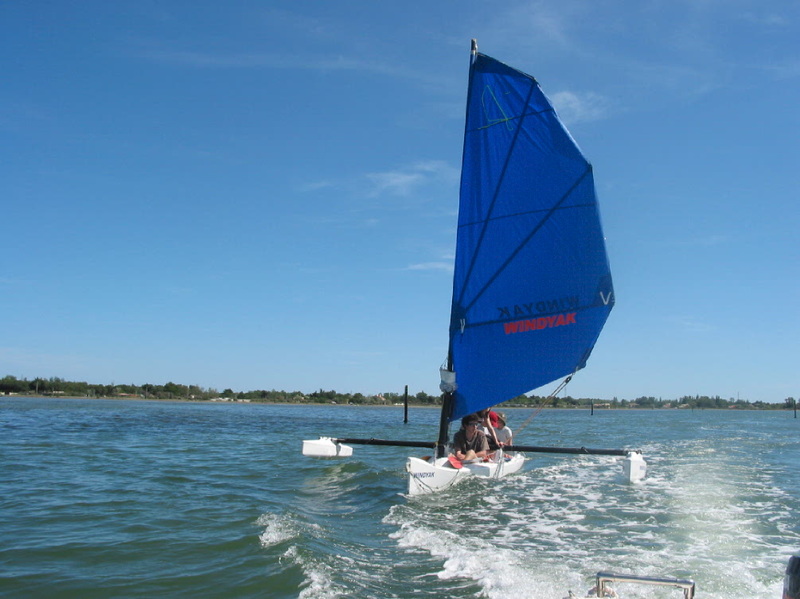 Navigation without care in one foot depth water, thanks to instantaneous rotation of center board and rudder blades in case of contact with ground. 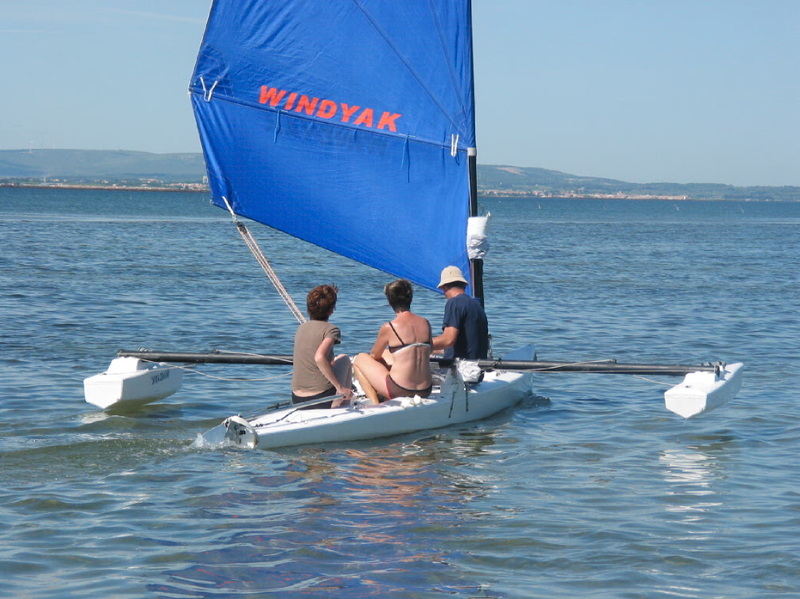 A windy lake ideal to try WINDYAK. 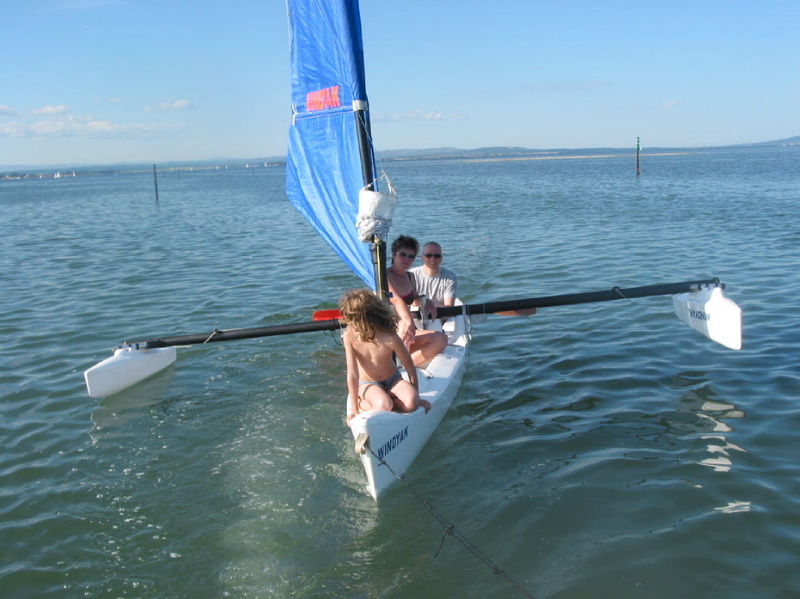 Photo shots of single handed navigation and first sailing experience for webmaster photographer.